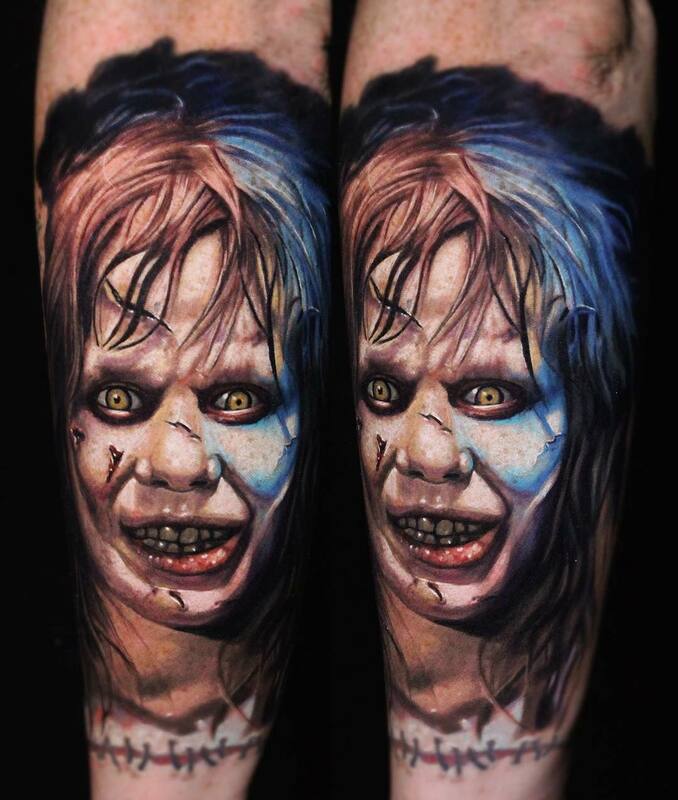 Everyone remembers the first time a crackling VHS horror movie terrified them for the first time. 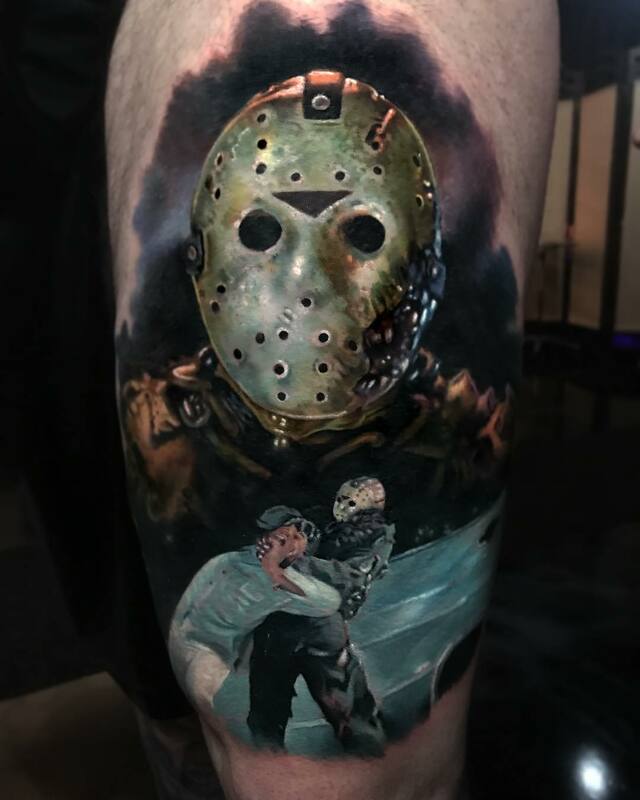 If they’re old enough to remember VHS, obviously. 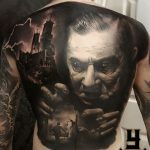 For some, it was a horrendous event, a memory creeping around in the back of their psyche, ready to pop back into their mind at any time. 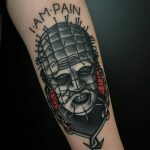 Others, myself included, actually craved more of that very same feeling. 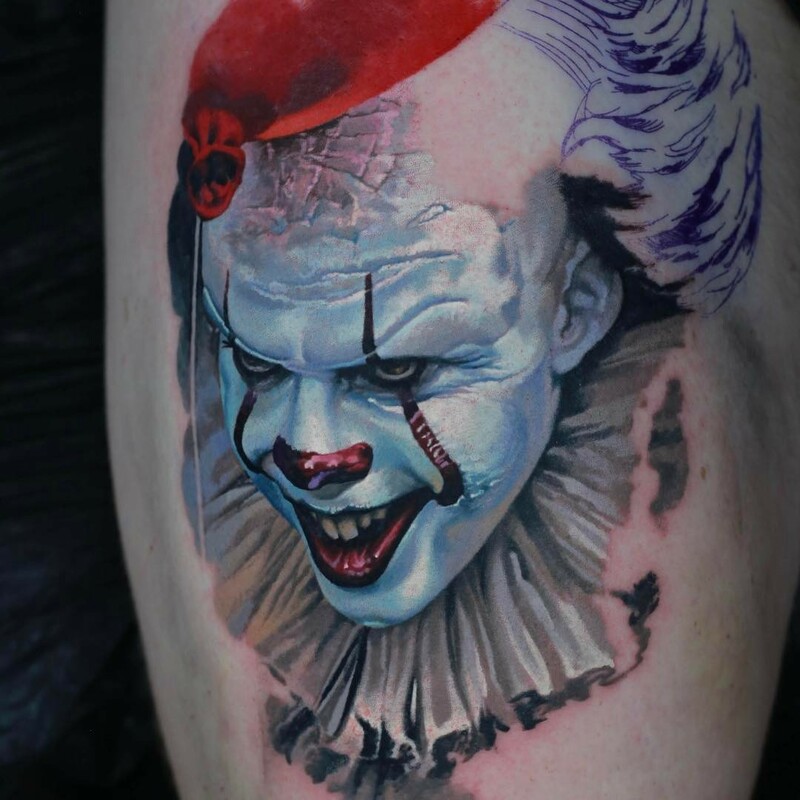 There’s plenty of science behind it but it’s simple – it’s fun to get scared. Horror fans all have their favourites and the list is expansive as hell; serial slashers in varying disguises and states of decay, interdimensional hell portals spitting out nightmarish realities, and creepy plastic dolls are just this freak’s favourites. 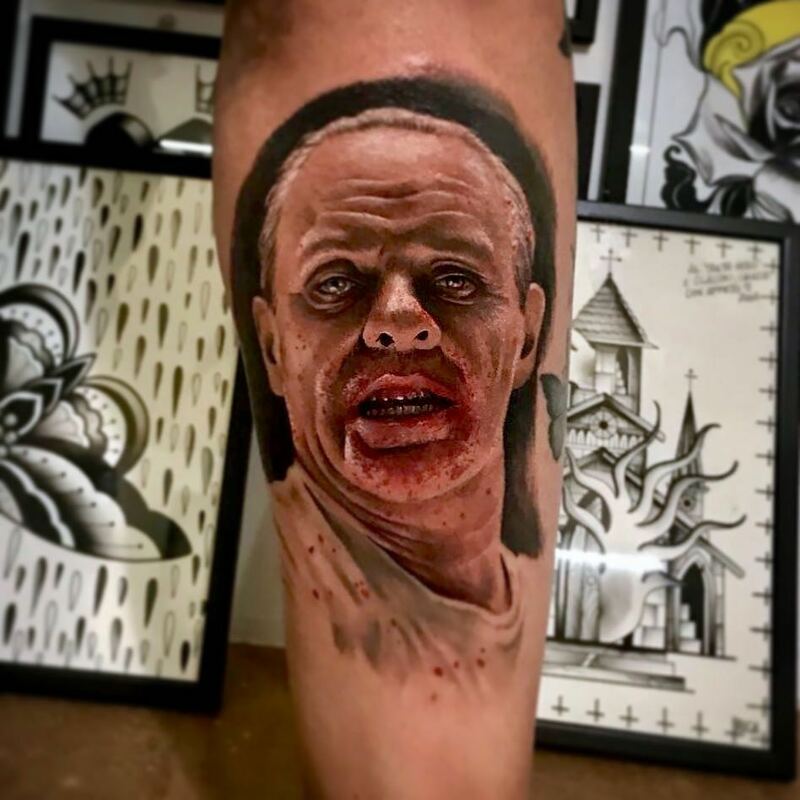 We’re not here to talk exclusively about horror movies though, there are other places for that. 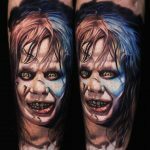 While the haunting soundtracks and countless rewind-and-rewatch kills live on forever, they wouldn’t hold the same weight without the striking faces of terror they follow. 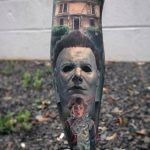 These faces, masks and monsters continue to live on past the credit reel, thanks to the talented artists shredding the skin of their victims. 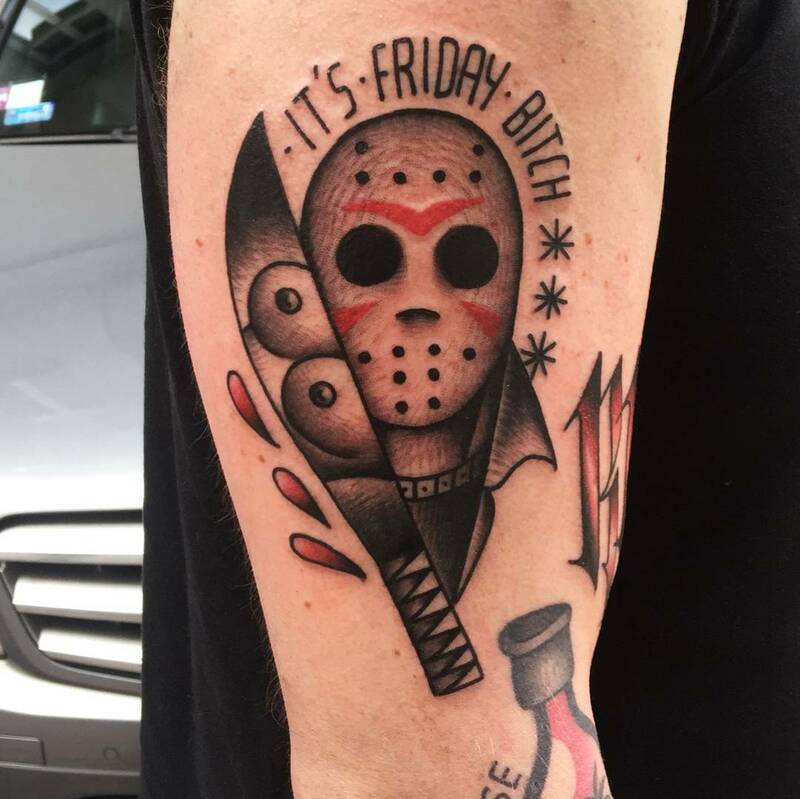 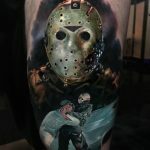 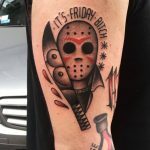 Let’s be honest, there are probably too many Jason Voorhees tattoos out there, but that’s okay – the hockey mask makes for some very cool tattoos. 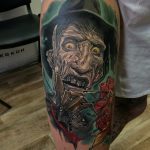 Whether it’s Jason’s mask or Boris Karloff, horror images are perfect for creative tattoo artists to take on. 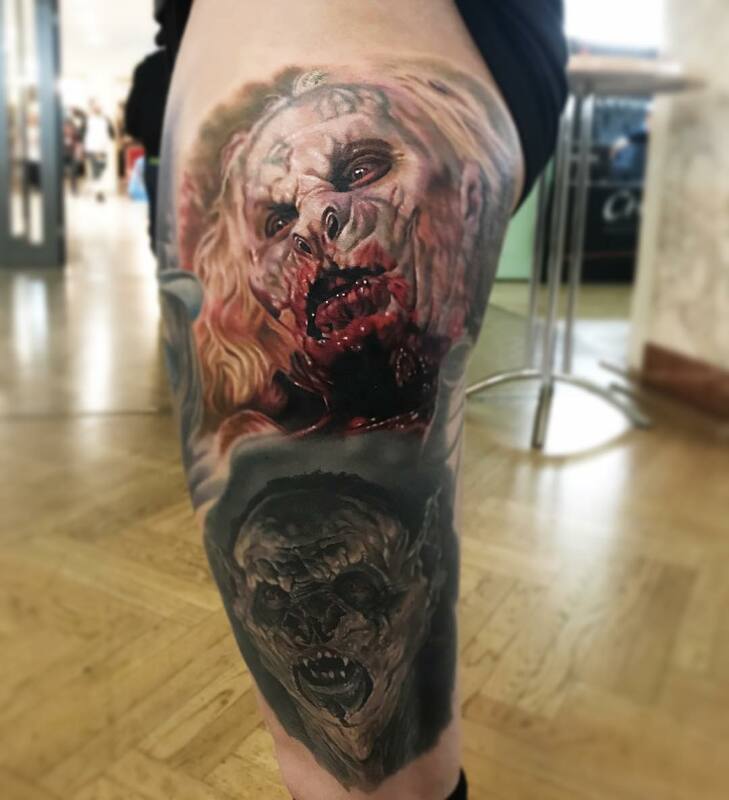 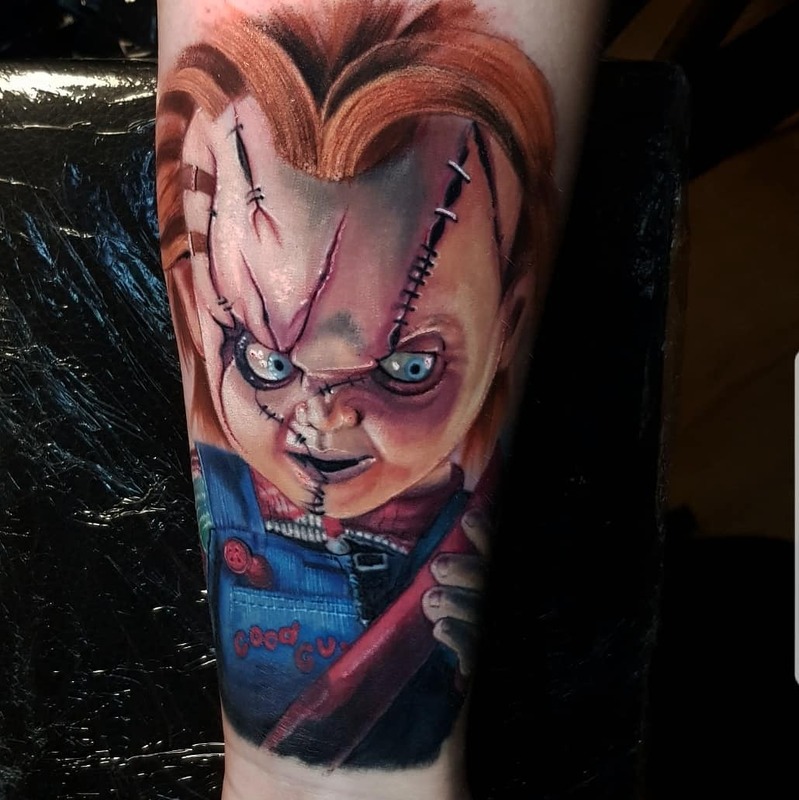 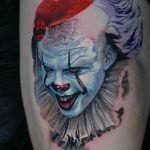 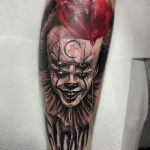 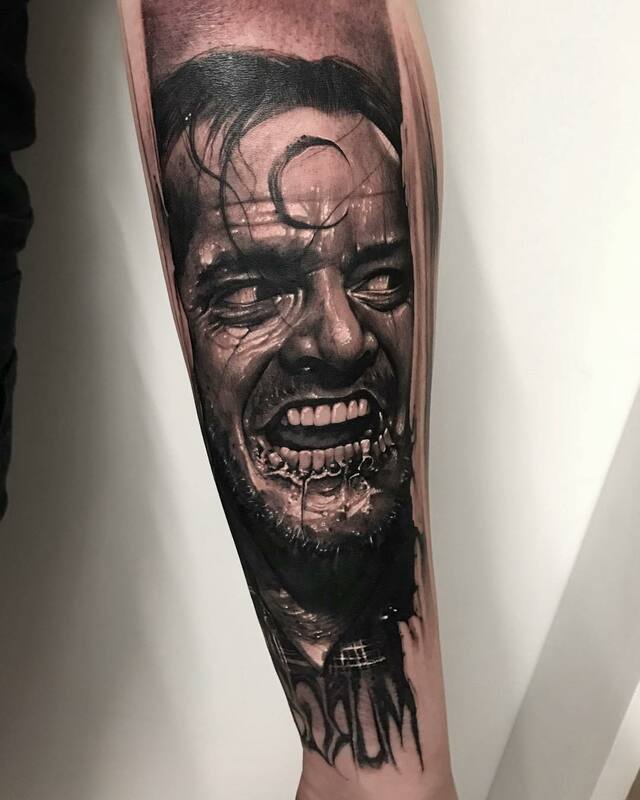 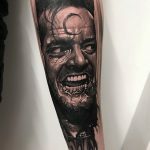 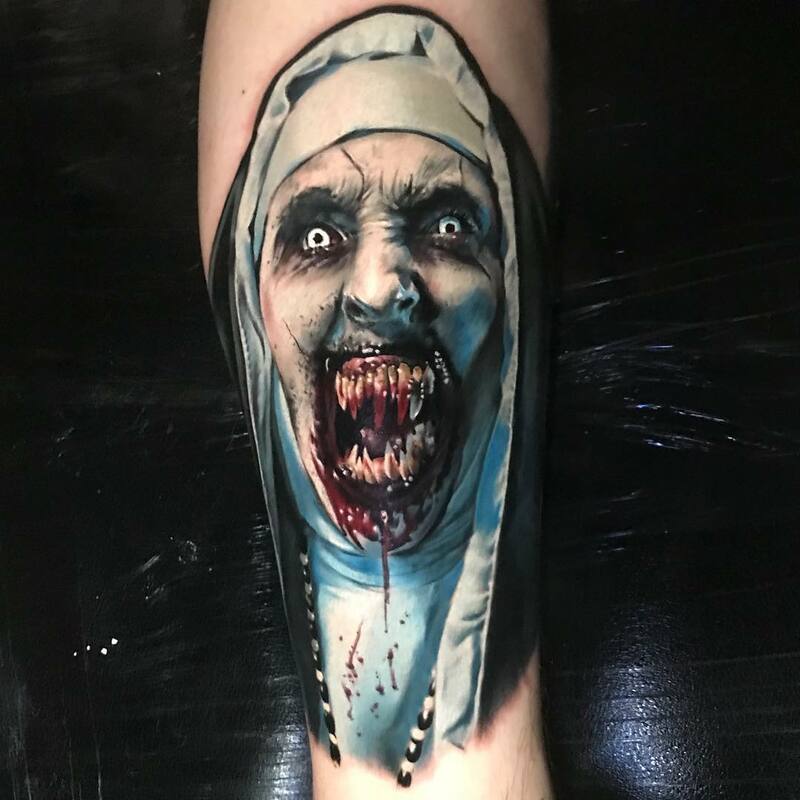 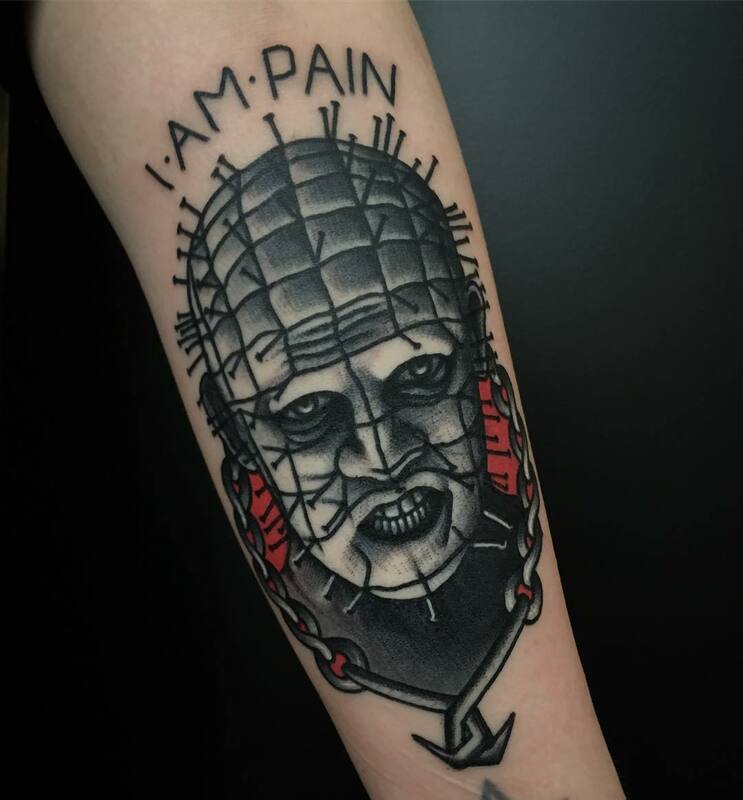 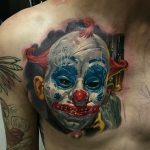 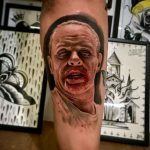 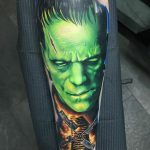 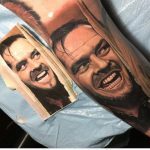 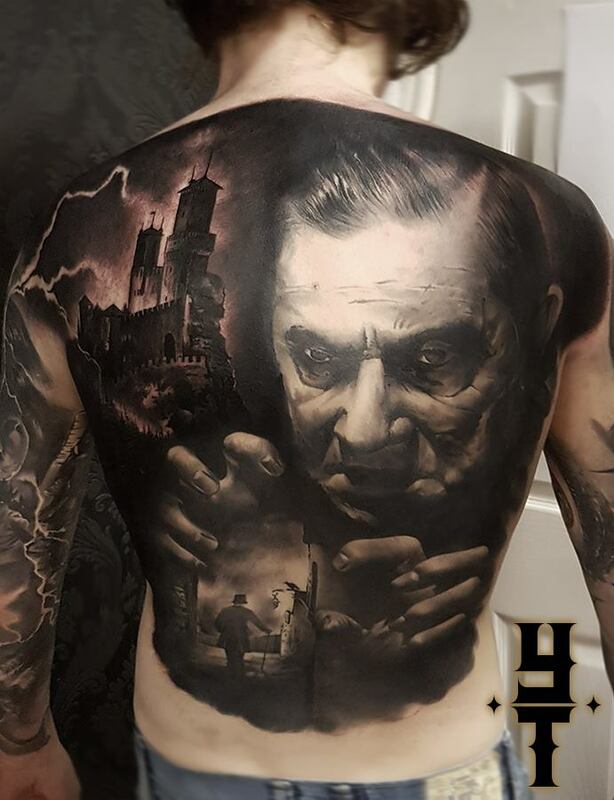 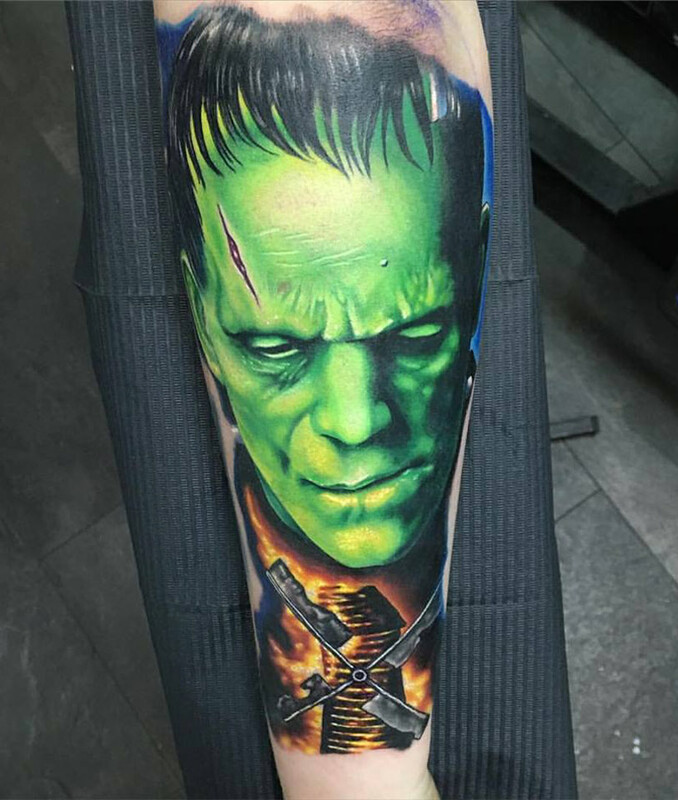 There’s definitely a focus on realism in horror tattooing, but that’s the case everywhere; there’s also so much room for creativity and unique takes on the classics. Much in the same way an artist might tackle a lighthouse, dagger or any other traditional image. 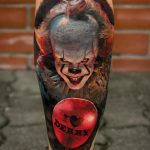 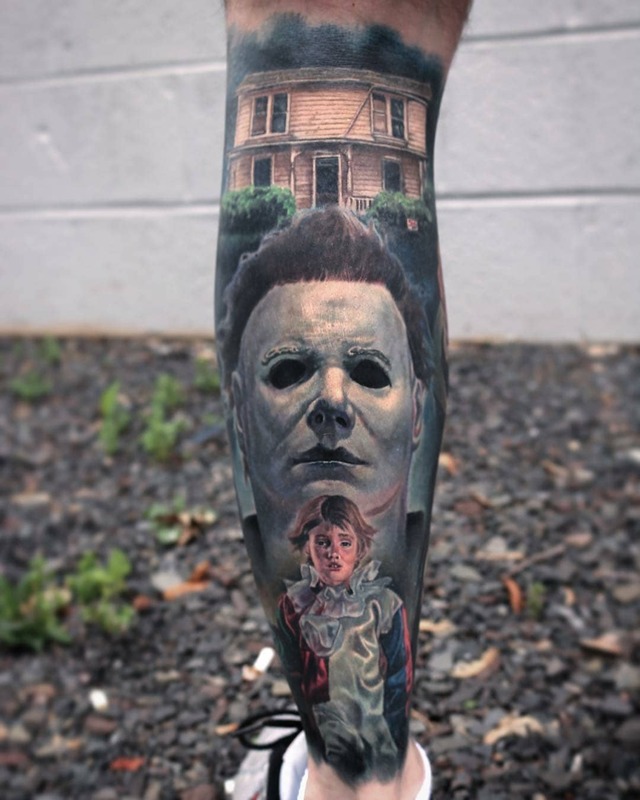 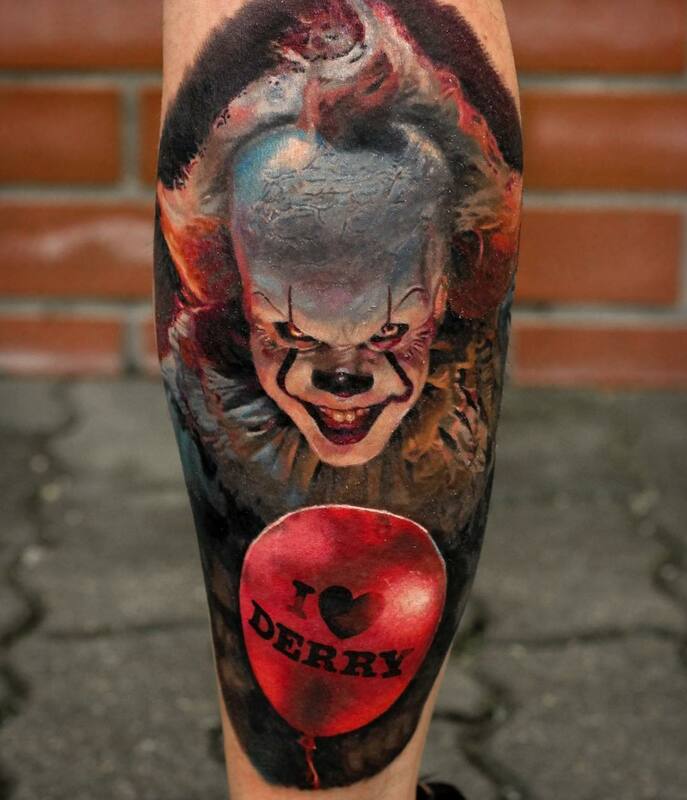 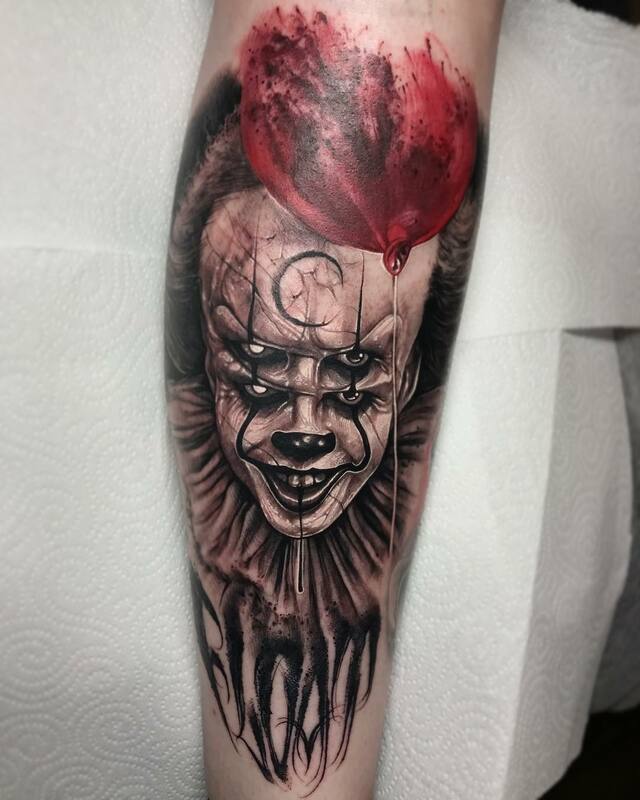 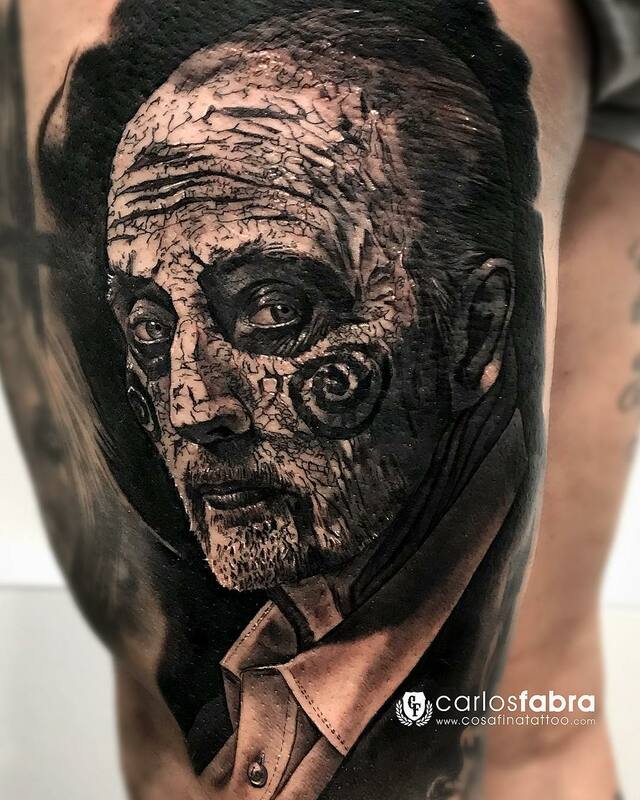 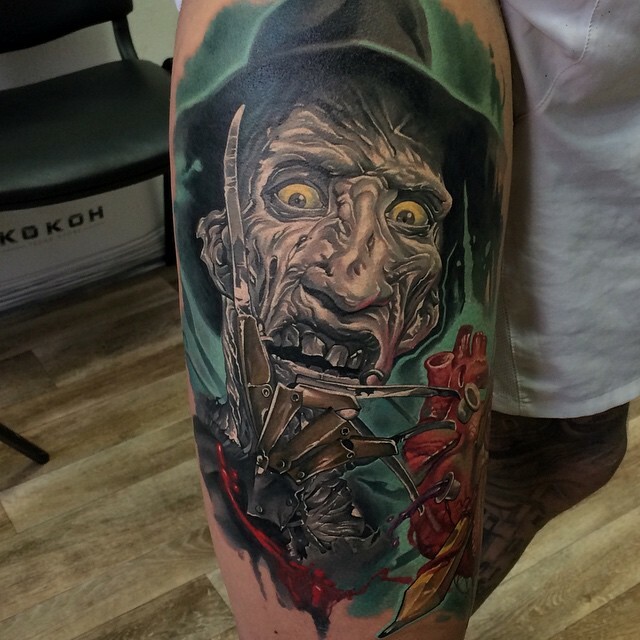 It’s this mixture of painstaking realism and creativity that makes great horror tattoos; new takes on images replayed so many times the tape disintegrated, and knife-edge portraits, precise to the last bloody drop. 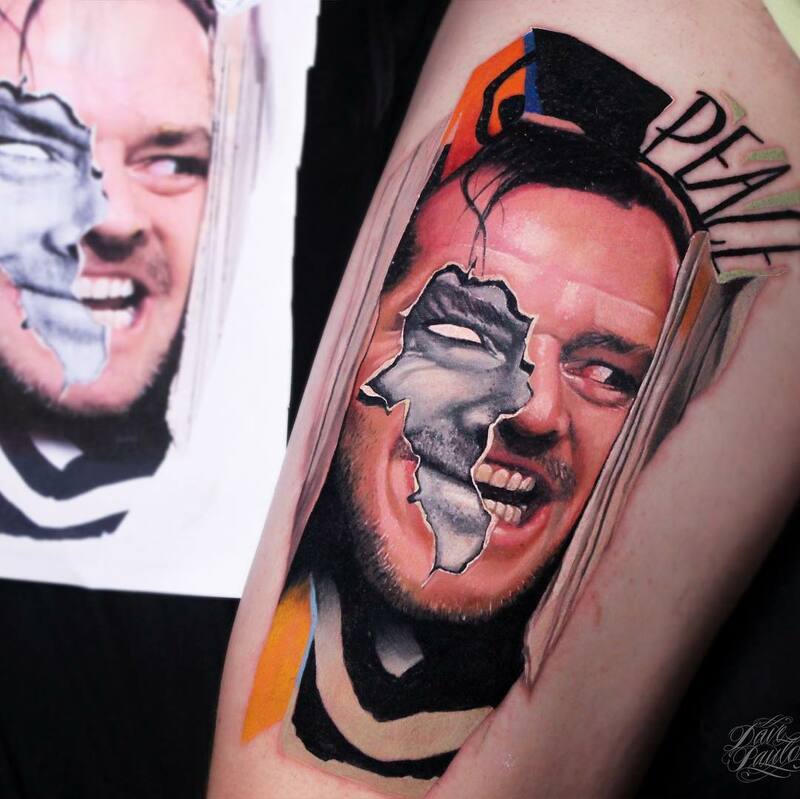 Taking a classic image of terror and turning it into something someone will cherish forever is a strange thing. 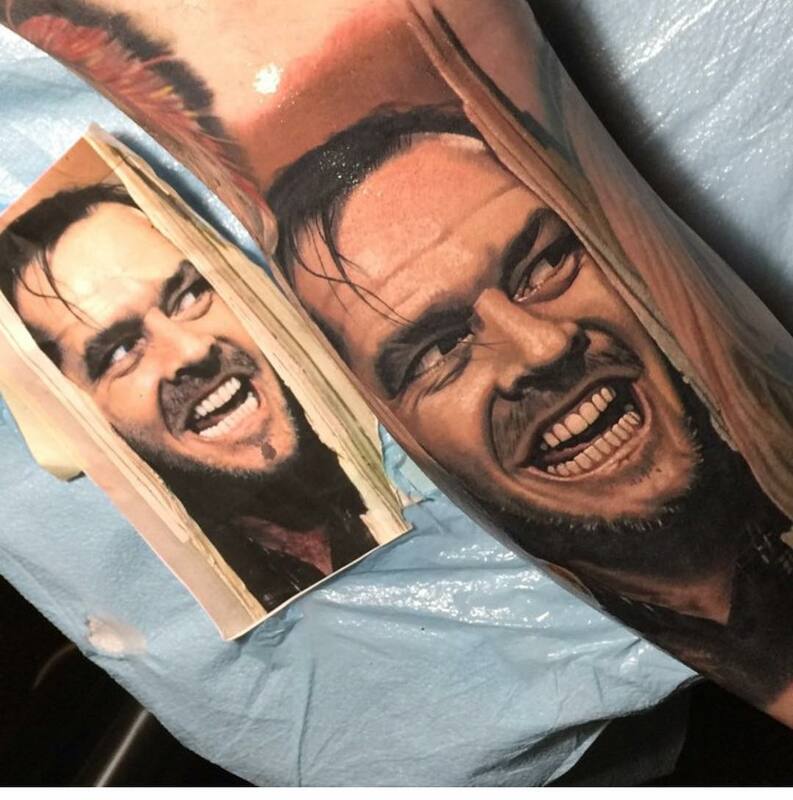 A bit different from tattooing someone’s child on a bicep. 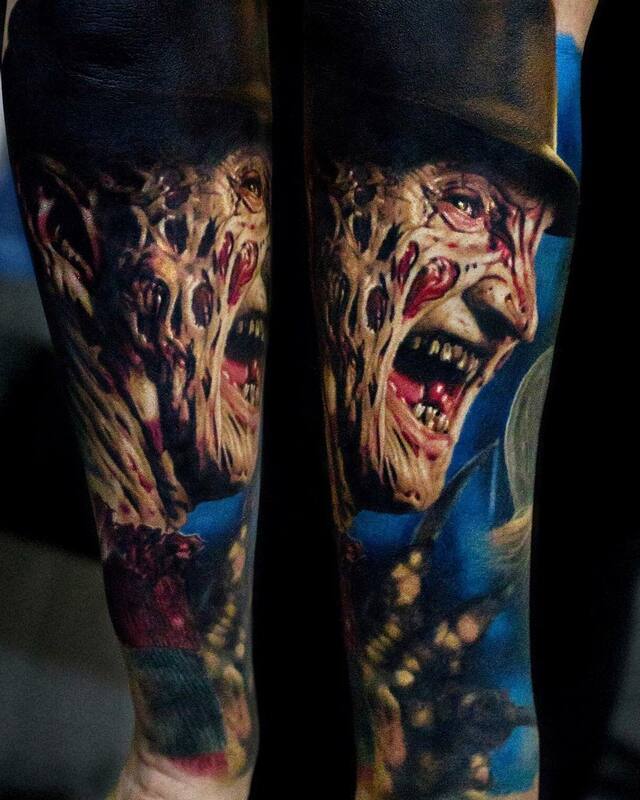 It’s no less important though, any tattooed horror fan will tell you. 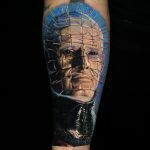 The bloodsoaked memories of horror icons will live on the skin of their devoted followers with all the screams of pain and agony coming from the TV, not the studio chair. Hopefully.